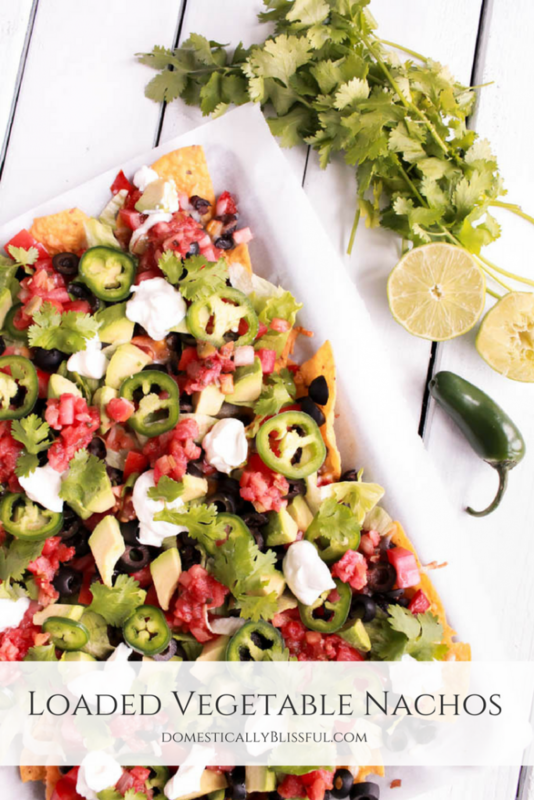 Loaded Vegetable Nachos is a quick & simple vegetarian meal that is filled with flavor & that everyone will love! 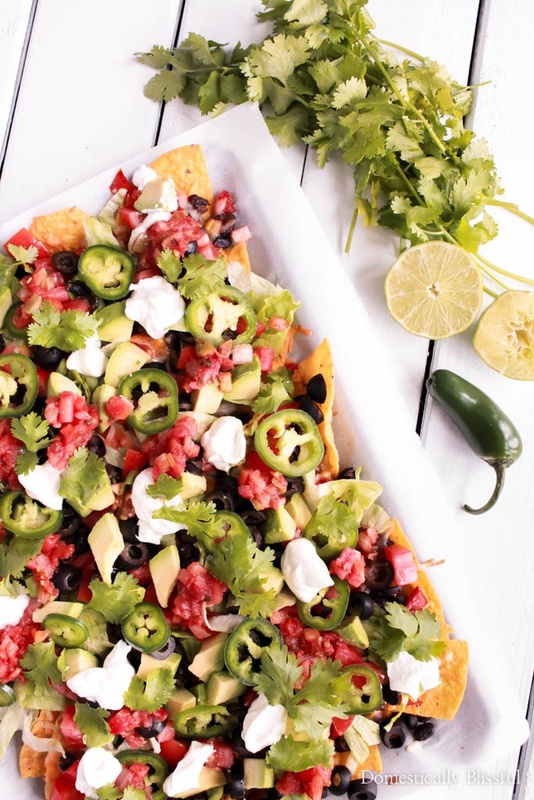 I’m not sure if these nachos could be any more loaded? Seriously! 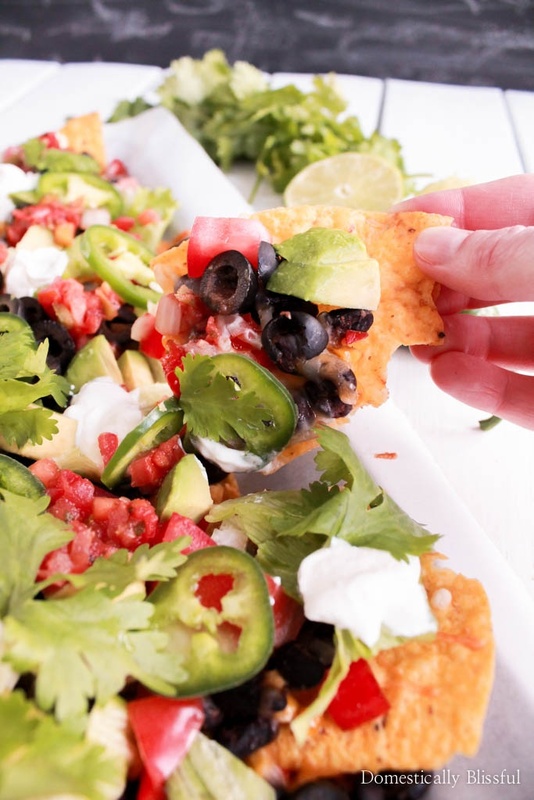 These loaded vegetable nachos have all the works! 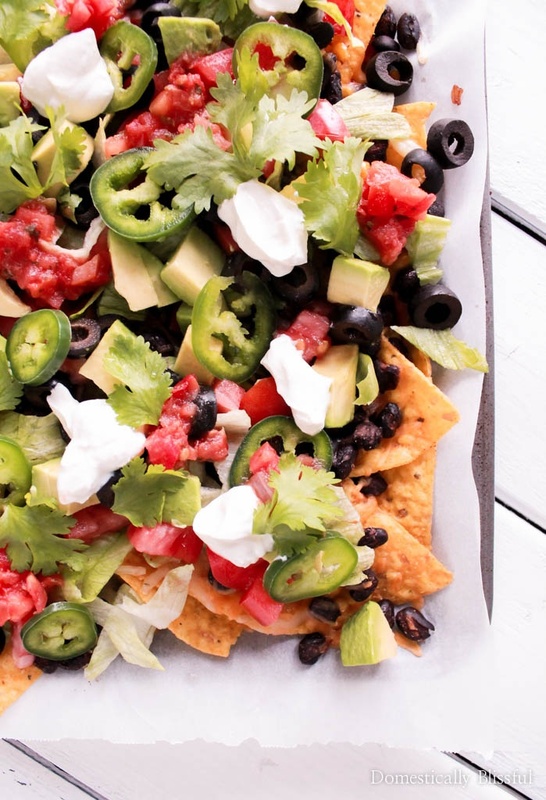 And the best part about these vegetarian nachos is that you can pick & choose your toppings. 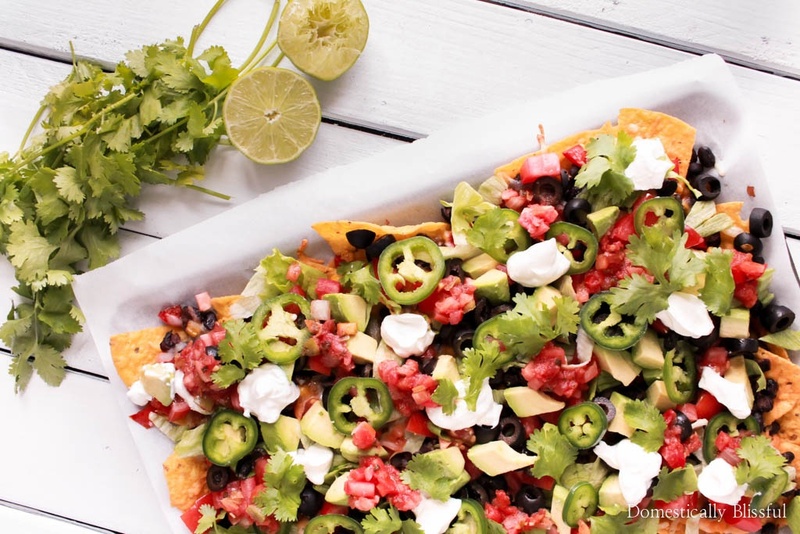 You could add different toppings to different quadrants of the sheet pan nachos or even create a toppings bar & let your family & friends top their nachos however they like! 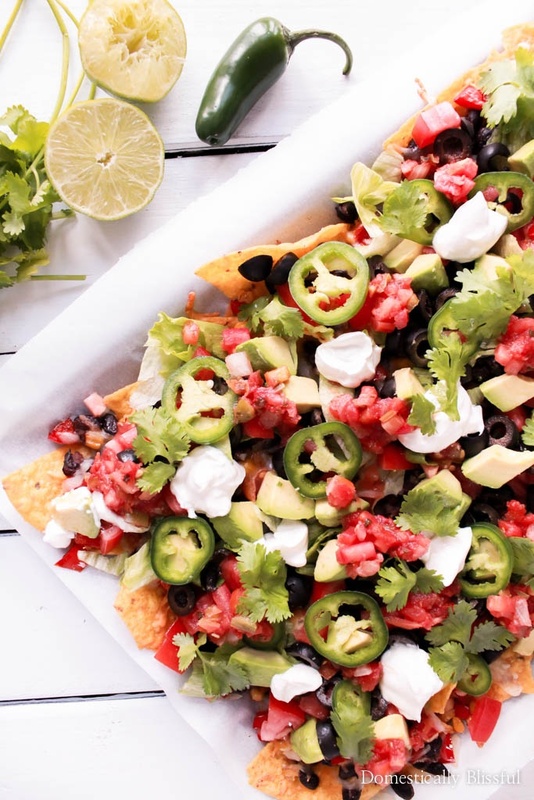 These vegetarian loaded nachos have flavors & toppings galore! I planned this post for two reasons. First off, in the Instagram poll I created at the end of last year you all voted to have more vegetarian dishes over dessert recipes. So I wanted to make sure my first entree recipe was packed full of colorful vegetables. Second, Super Bowl is right around the corner. And I don’t know about you, but Mexican food seems to be a staple at every party I’ve ever been to. So I wanted to create something that both meat eaters & veggie lovers would love & enjoy! 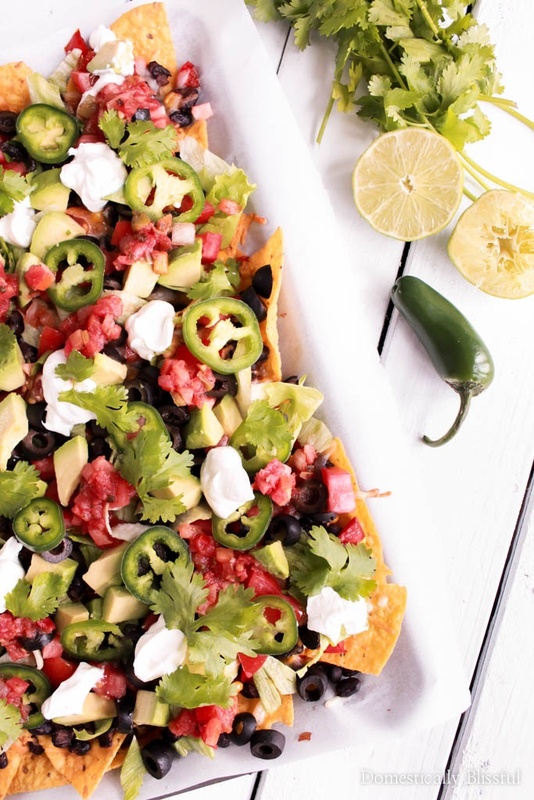 These Loaded Vegetable Nachos serve 8-10 people, but let’s be honest. 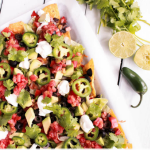 When it comes to nachos, it’s easy to load up a plate, nobody follows servings sizes, & people are always coming back for more. So to be safe I’d say this serves 6-8 hungry people. But the good news is that you can easily half or double the recipe depending on how many people you plan on serving. Need more? It doesn’t take long to whip up another batch for your hungry guests! First, preheat your oven to 400 degrees Fahrenheit & line a large rimmed baking sheet with parchment paper. Spread the chips onto the lined baking sheet & top with the black bean mixture, 1 cup sharp cheddar cheese, & 1 cup pepper jack cheese. Bake for 8-10 minutes until the cheese is melted & bubbly. 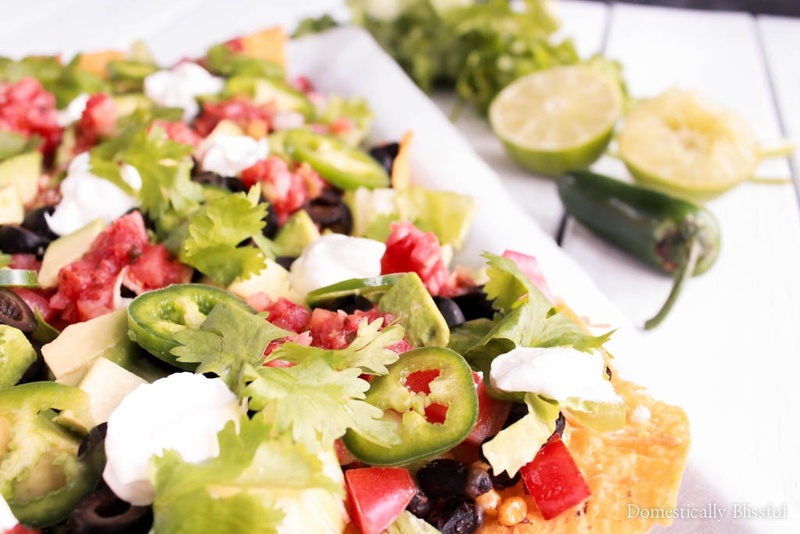 Serve immediately topped with lettuce, tomatoes, avocado, fresh salsa, sour cream, fresh cilantro, & a splash or lime. Pictured is a half recipe. 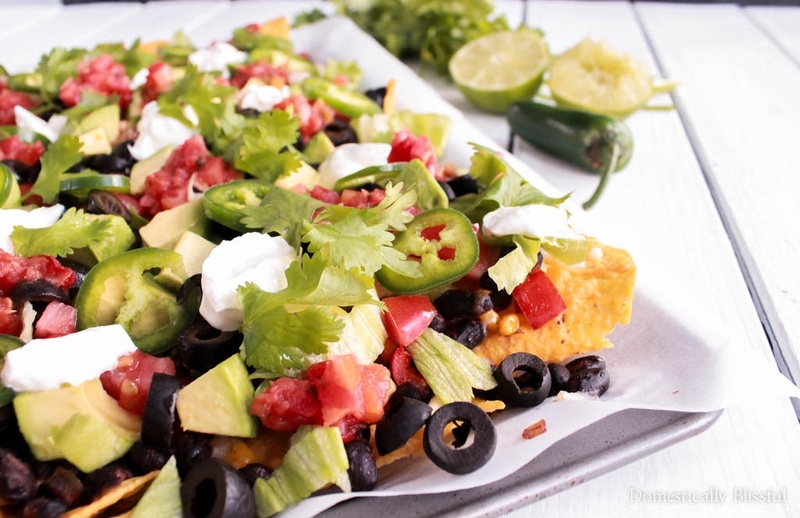 What is your favorite nacho toppings? & where thieves break in & steal. & where thieves do not break in & steal.